An iconic project in New York developed in exclusive partnership with James & Taylor. Aluminium cladding manufactured by the Expanded Metal Company was used for the Saana’s decorative exterior. The bright aluminium surface catches the light, reflecting the changing moods of every day throughout the year. In April 2008, the museum’s new building was named one of the architectural New Seven Wonders of the World. 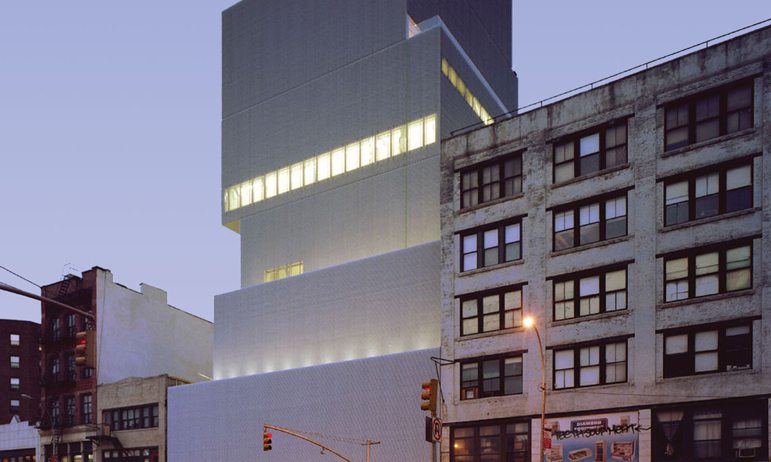 It was the first museum to be built in New York for 25 years.